← Bob’s Red Mill Gluten-Free Prize Pack Giveaway! Target $25 Gift Card Giveaway! Sponsored by Gift Card Rescue and hosted by Momma Lew’s Blog! Gift Card Rescue allows you to SELL your unwanted gift cards for CASH *or* BUY gift cards at a discount! Find out how Gift Card Rescue works here! 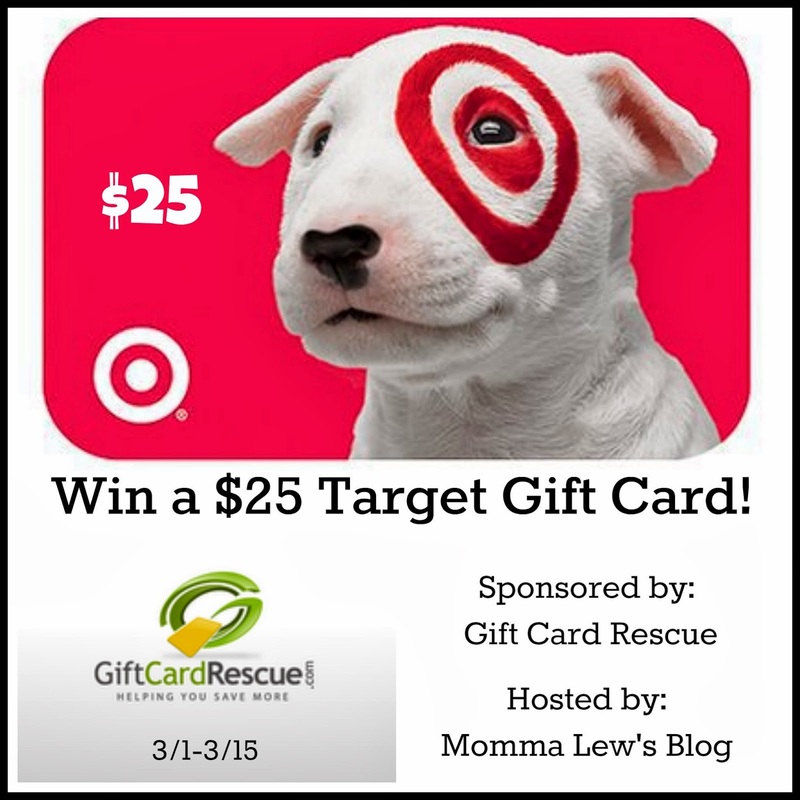 Gift Card Rescue wants to give one lucky reader a $25 Target Gift Card! To enter, follow the steps in the Giveaway Tools below! Giveaway is open to US Residents, 18+, one entry per household. Ends 3/15 at 11:59pm EST. Momma Lew’s Blog and all participating bloggers are not responsible for prize fulfillment. Winning entry will be verified and winner has 48 hours to claim their prize via email before a new winner will be chosen.